Queensland is Australia’s second largest state by land area, covering more than 22 per cent of the continent. The economy is the third largest in Australia, after New South Wales and Victoria. Queensland’s natural wonder, the Great Barrier Reef, extends over some 2,000km, covering more than a quarter of the State’s 7,400km of coastline. 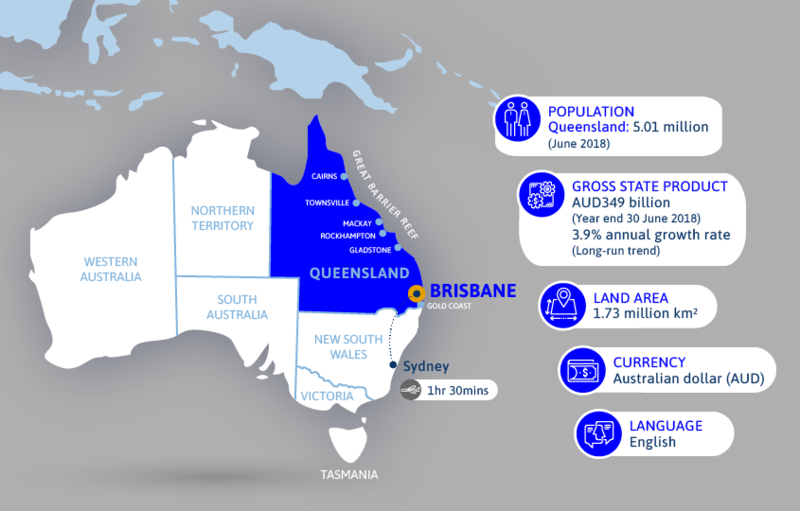 With a population of 5.01 million, more than 20 per cent of Australians live in Queensland. Around three million Queenslanders live in the State’s south-east corner. See the current rates for QTC’s Queensland bonds.